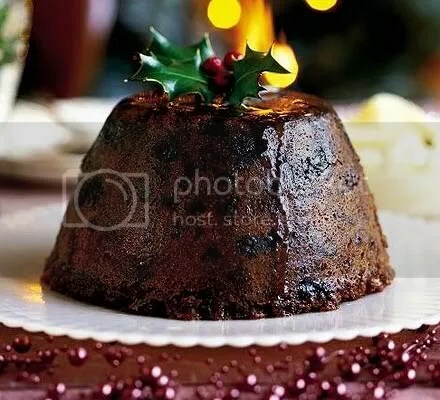 Christmas pudding originates from an old Celtic dish called frumenty. Sweet frumenty is the forerunner of our Christmas pudding. It is made predominantly with barley, with some fruit and spices added. It is like a fruity porridge. Our modern pudding (cake) is much more delectable looking…. ← Yea, more Christmas trivia…..